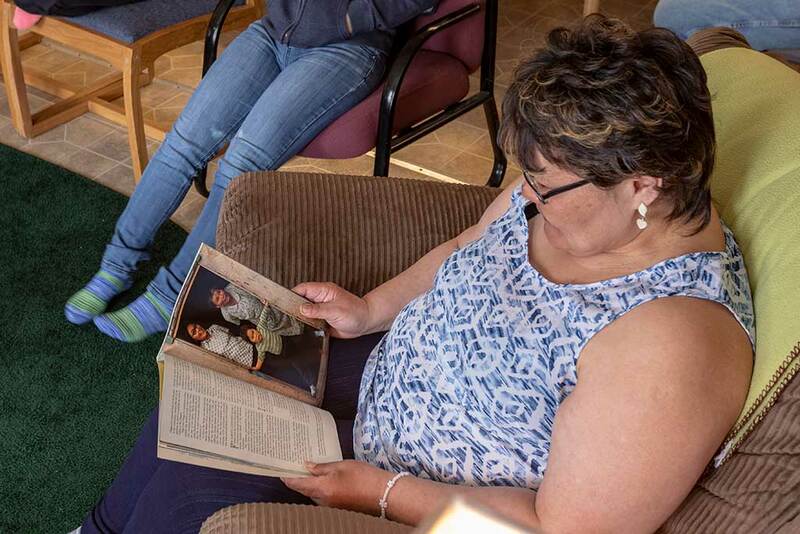 Nunapitchuk family featured in NatGeo - The Delta Discovery, Inc.
Nunaptichuk, AK – While sitting around talking a few months ago, I heard a story about a resident of Nunapitchuk who had been in a photograph in National Geographic magazine several years ago. With a few more conversations and a little research I was able to locate some back issues on eBay and ordered a few copies to share. 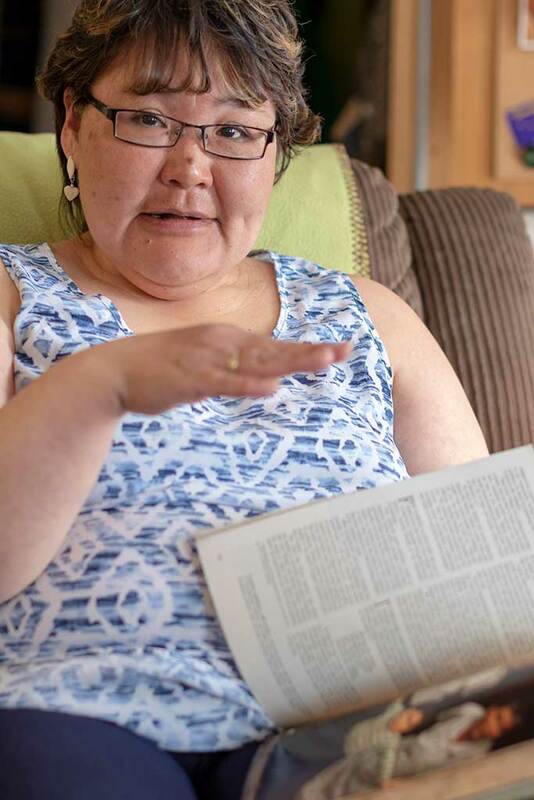 When she was a young girl, Mary Enoch heard a floatplane land on the river and ran to the door to see what was going on. By then, a National Geographic photographer had set up a shot of the door of her house and captured Mary along with her sister Sophie Enoch and mother, Natalia White. The photograph was subsequently published in the June 1975 issue as part of an extensive article about Alaska and the changes that were coming with ANCSA and oil. As a lover of nature and the natural world, I have read National Geographic for many years and have never had the honor and privilege to meet someone whose picture had appeared in those pages. Even more interesting were the stories of how things were in this village in the “old days” before there was an airstrip, before there was a high school in the village, and when communication was far more difficult. Thank you to Mary Enoch and her family for helping me to understand a little bit more about the history of Nunapitchuk!